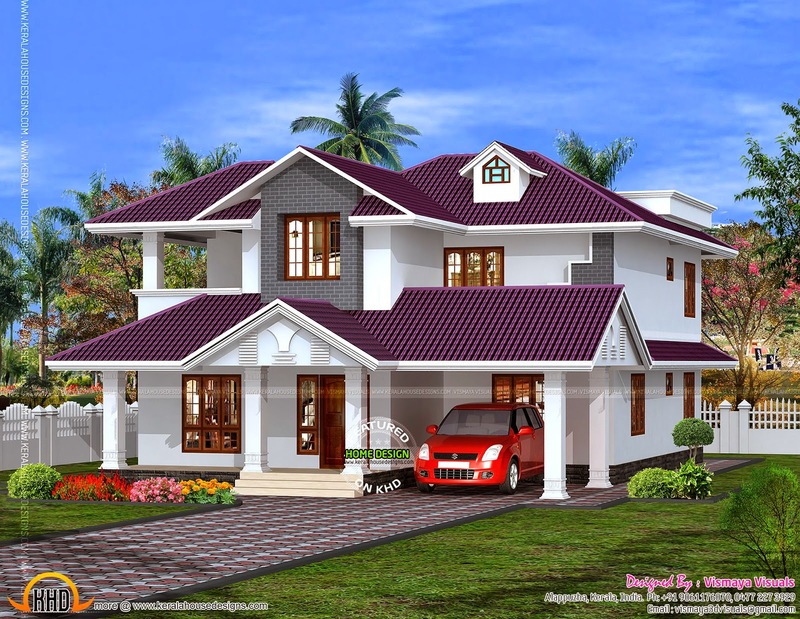 Beautiful sloping roof house plan in 2175 Square Feet (202 Square Meter) (242 Square Yards). 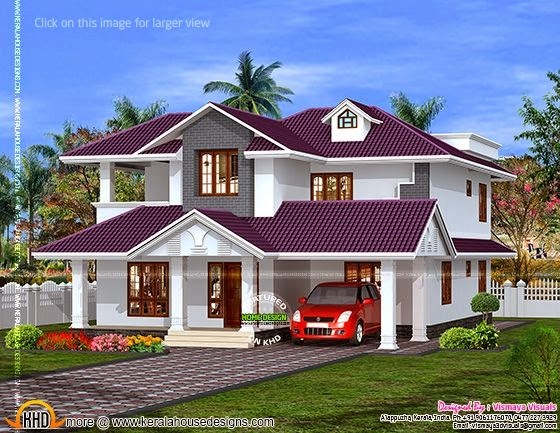 Designed by Vismaya Visuals, Ambalapuzha, Alappuzha, Kerala. Total area : 2175 sq. ft.